It's spring but it's still definitely not feeling like spring around here. Snow on the weekend? Check. Frost on my car this morning? Check. Since its no fun being outside, we've resorted to a few spring crafts indoors. Like filling our kitchen windowsill with tiny planters from the Target dollar spot. And playing with moss. This might be the only green I'm going to see for a while. 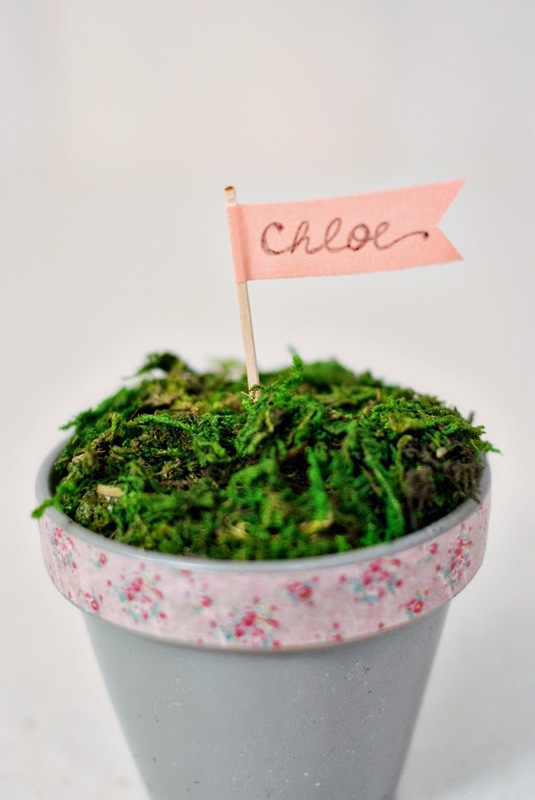 I've been gathering decor ideas for Easter and I think this little craft would look cute as a placecard holder on the Easter table. 1. Cut a piece of floral foam to fit inside the pot. The foam should sit flush with the top of the pot. 2. 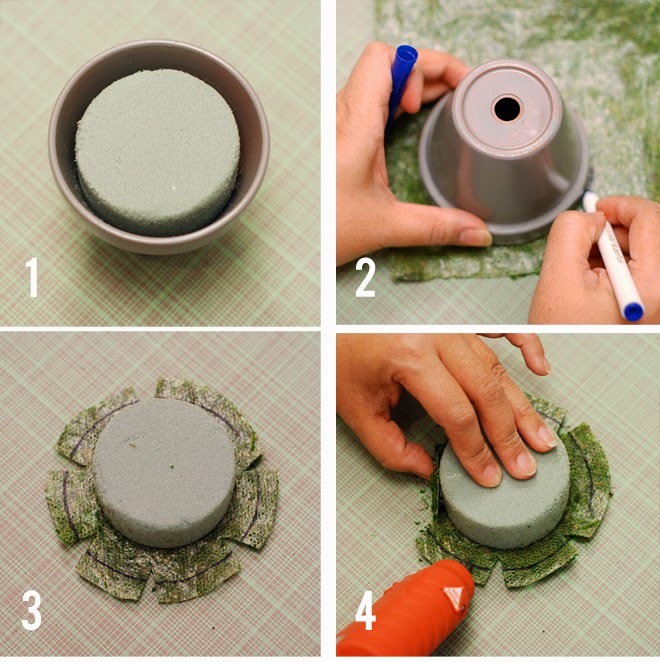 Using the top of the pot, trace a circle onto the moss mat. 3. Cut 1/2" outside the traced circle. Cut out a small triangular shape every 1.5" inches around the circle. 4. Working your way around the circle, adhere the sides of the moss circle to the foam with hot glue. 5. Turn the foam over and insert into your pot. 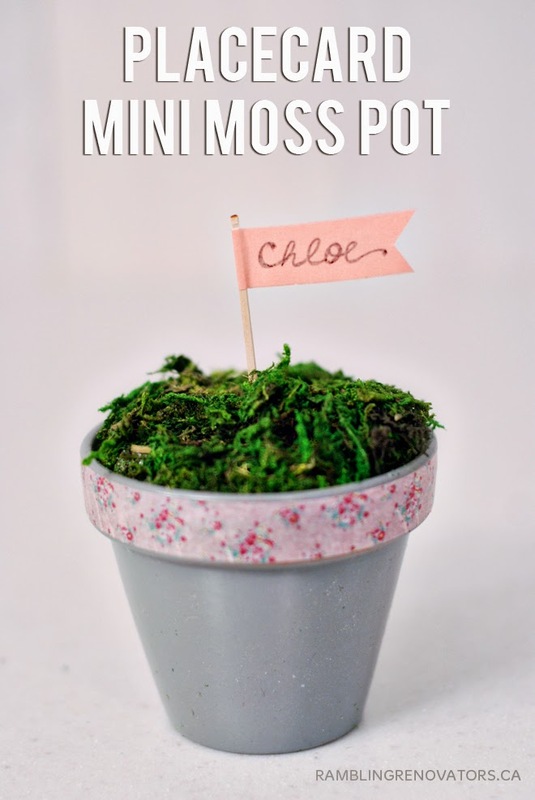 Have you made any spring crafts lately? Or are you one of the lucky ones who is actually spending their time outside enjoying spring weather?